With Arcane Duels fantastic spoiler videos as of late we can finally start discussing a topic I've personally been eager to get into since the development for Academy: Warlord finished up. 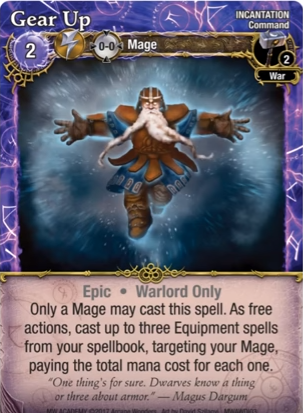 With cards such as the new Formation spells and particularly the new equipment we've seen I fully expect to see the Warlords to become "the mages to beat" in competitive play. 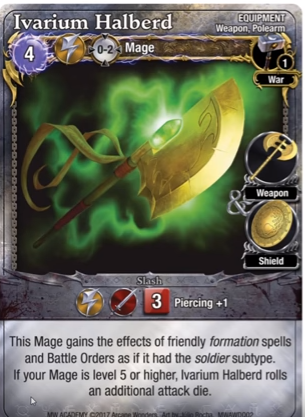 Lets look at what these new cards can mean for both mages shall we? Might as well kick off the big reveal. While carrying the Ivarium Halberd a Warlord benefits from his own Battle Orders and from Formation Spells. That means an Anvil Throne can become Fast, get Piercing +2 on his attack spells, or just gain an extra +1 Armor and Tough -2. Bear in mind he's already Tough -2 so that's going to stack making it very difficult to apply conditions. Is he going to get a Colossus Belt and make it nearly impossible? What about wearing Chitin Armor so you're just not going to Corrode him? Oh you got a lucky roll on the effect dice? Thankfully I have these nice new pants to make you re-roll that crap! If he's wearing the Strategist's Helm he can get that quick burst of speed from Fast WHENEVER he wants it without having to use any action economy up. Oh and so will all his creatures so Goblins can frenzy like zombies now except cheaper and without costing a full action to apply. If he's not using the Halberd he might actually get the Horn of Gothos to apply it to every friend he's got in the arena. For the Bloodwave he's going to benefit more from the Formations as they're going to stack his already formidable fighting ability. Press the Attack means he's swinging 6 dice while he's holding that halberd AND he can re-roll it. This re-roll of course being in addition to any he gets from putting a cheap Level 1 Enchantment called Akiro's Favor in his book, and frankly you've no excuse NOT to put that in every single War book you're going to make and half the non-War ones too. He's going to get beefier and meaner in the hitting people department. He'll also benefit from getting +1 range on his rocks he's throwing and if he's on a Hill and/or Hawkeye he's pretty much going to terrify people. The ability to make everything hit harder with Charge +1 means he's going to likely favor surging in fast even more so and he'll do well with creatures like Torgo and Izimbilla backing him up. 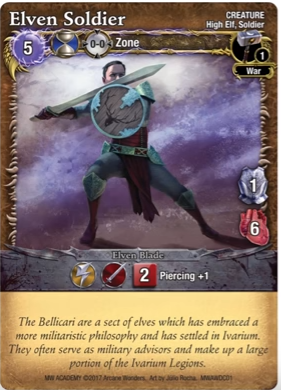 Lets not forget his creatures like Izimbilla or the ole Orc Butchers are going to be using Promotion and being that much scarier and that'll stack with Vet Tokens making them super creatures. Don't forget he's also going to be able to make his guards stronger with +1 Melee and +1 Armor whenever he feels like it so the Dwarven Panzerguarde is really going to be something you might think twice about hitting now. I wanted to go ahead and get this topic started, there will be more reveals that'll add to some of my points but my hype trains going pretty hard right now. This set will help the warlord be on another level of awesomeness. I am pumped about this set because it adds a lot to several other mages and helps the warlord utilize his abilities even more. Formations and warlords equipment will set them apart from the paladin. 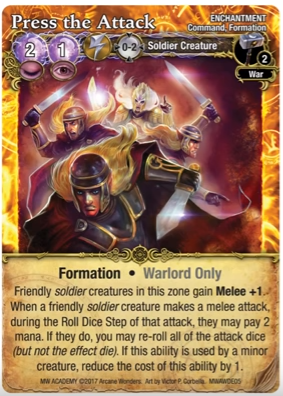 Formations alone is enough for me switch to playing warlord more often and possibly being my new favorite of all the mages. I'm pumped as well for the release of this set! Ugh. There's some extreme power in this set. Gear up is probably worth the price of admission by itself. I STILL dont and wont play warlords, but this set is certainly going to make them a hell of a lot harder to kill! Some good things that will work for any mages, but damn. No more complaining about warlords being crappy. Now when does the priest get his ridiculously awesome equipment that makes him super viable? Hmm? The Warlords are both legit threats to everyone now. I'd better not hear a single complaint after Warlords start taking major tournaments. I'm honestly glad it's not Gen Con legal as nobody will have had time to prepare. stirring the controversy, i still am of the opinion that the orc is viable before this academy set. Just want to point out that Formations are Warlord only. Paladin cannot use them. Oh, I mixed up Warmage and Warlord in my head. Thx for clarification. You mentioned the new level 1 goblin. To the best of my knowledge we haven't shown them yet.  There's a lot of "giving fans what they want" in this set. That's 11 mana and 1 QC to get all 3 effects listed above, plus effectively a Wolf Fury (e.g. The new weapon is 4 dice Piercing +1, for 4 mana and QC). So this costs you net 7 mana for abilities that one might argue should have been on the ability card to begin with. That's not terrible... but this also costs you 4 equipment slots and excludes the use of any wand (incl Helm of Command), Horn of Gothos, the equipment discount hammer, etc. It's not bad... just pointing out it comes at a cost in terms of mana and equipment opportunity. Hmmm. 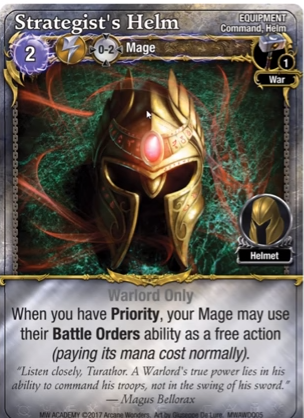 On a turn 1 without initiative, how about QC Gear Up with equipment listed above, then give yourself the Fast Battle Order as a free action with mana discount (0), then double-move to near-centre and put on Champion's Gauntlets (2). Next round, you have initiative and are likely in striking range with 4 equipment on and 15 mana to work with. And even if your opponent stayed put round 1, an Anvil Throne Warlord can always give his ranged attacks Piercing +2 (free) and Hurl Meteorite, plus final QC a Lesser Teleport to ensure you're in striking distance to start turn 3. ... Although you probably wouldn't have enough mana as you'd prefer to put some runes into those equipment... maybe play a Harshforge Plate and/or Armor Ward turn 2 to protect your investments. Why would you do that? Better increase your mana channeling or try to generate an action advantage. Ok let's refrain from criticizing each other's strategies. The reasons to Gear Up on turn 1 are fairly straight forward, to get the benefits immediately. If YOU don't want to please understand not everyone is bound to agree. One thing I'm wanting to do, obviously not on Turn 1 is to combo gear up with a dwarves runes. You could get 5 armor in one turn if you're willing to pay for it.